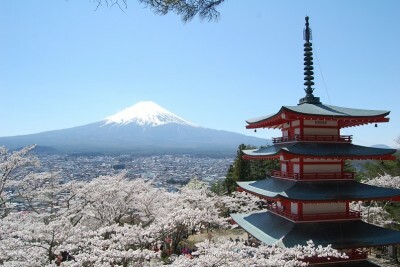 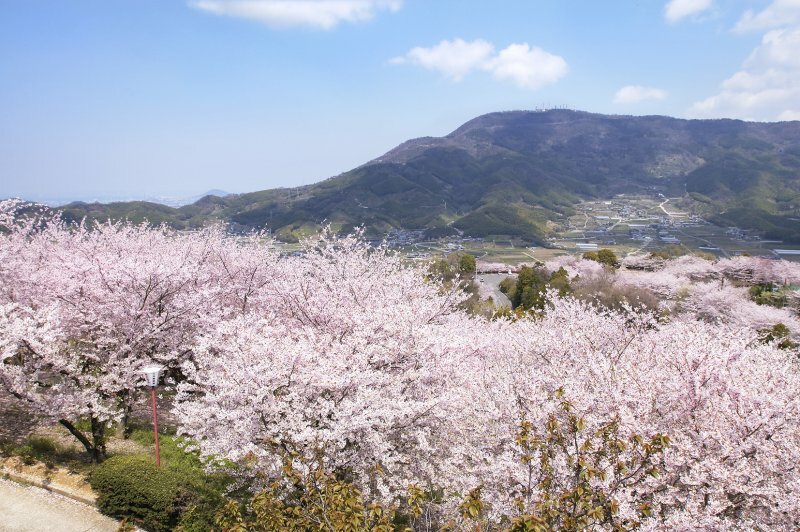 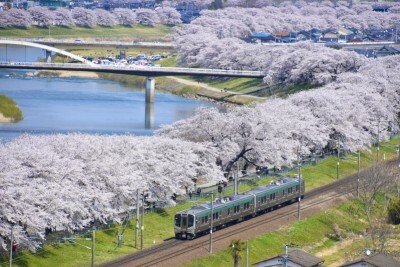 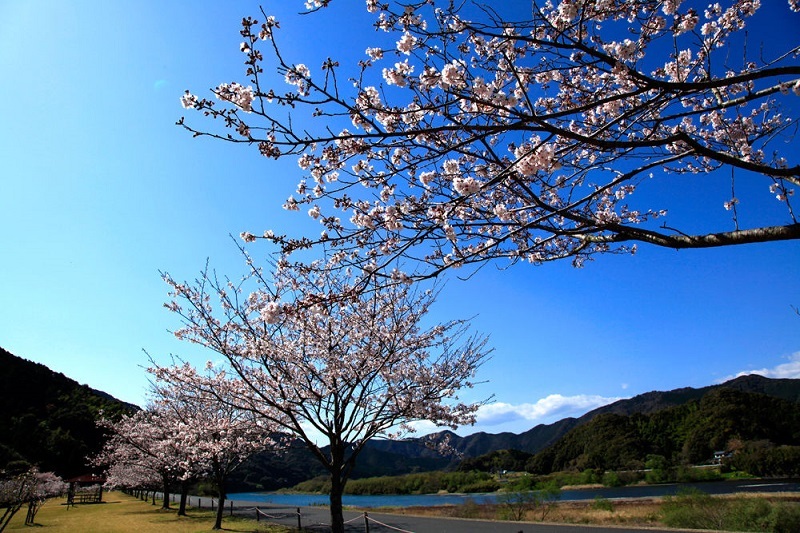 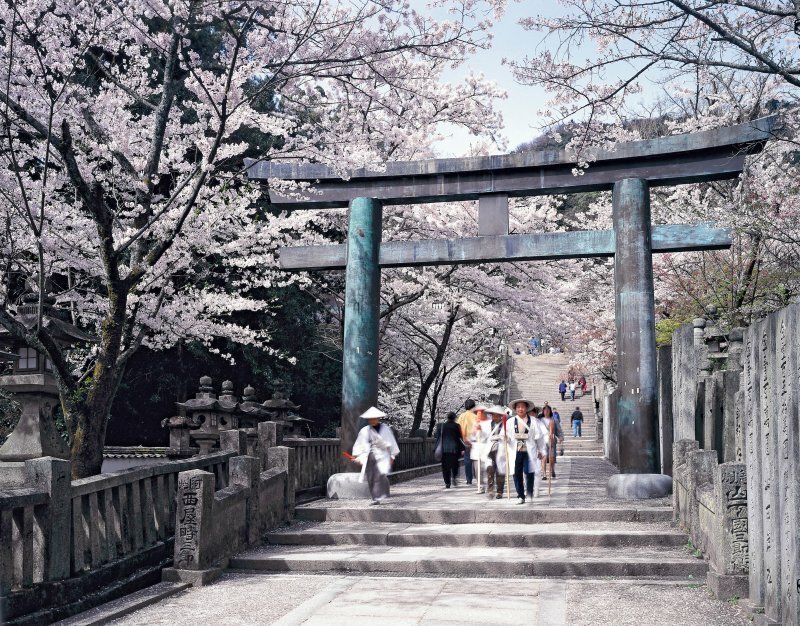 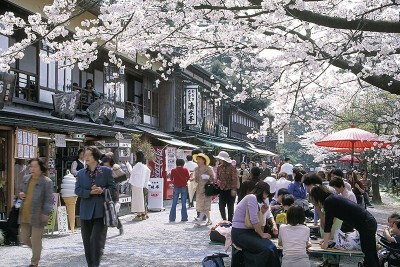 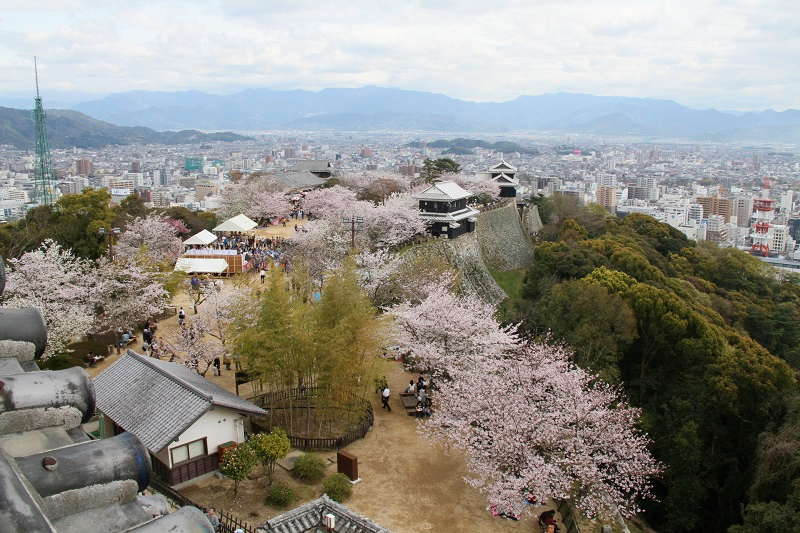 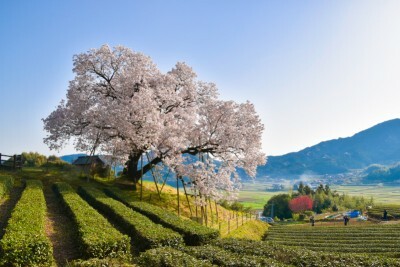 Famous tourist destinations including Oboke and Iya Gorge, as well as renowned hot springs like Dogo Onsen, are also nice spots for viewing beautiful sakura. 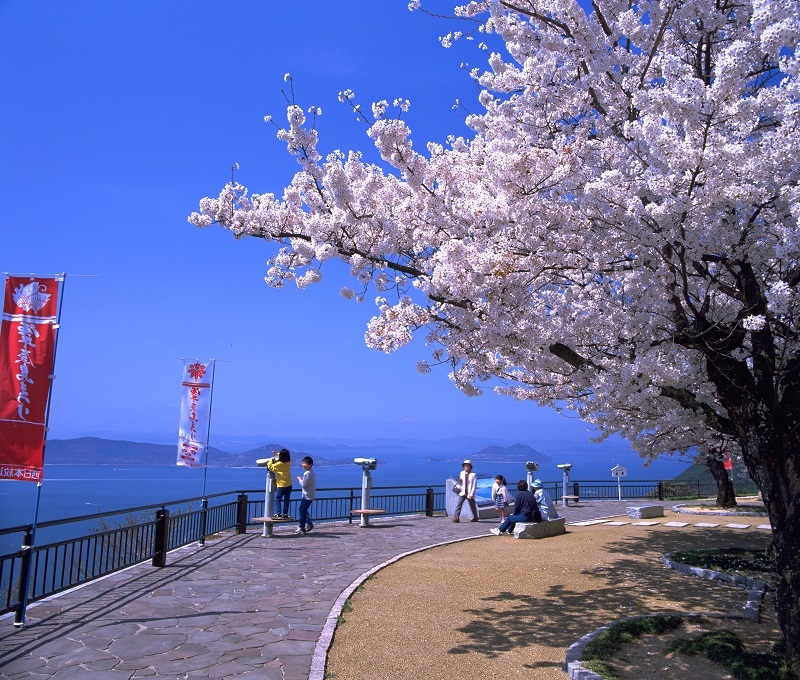 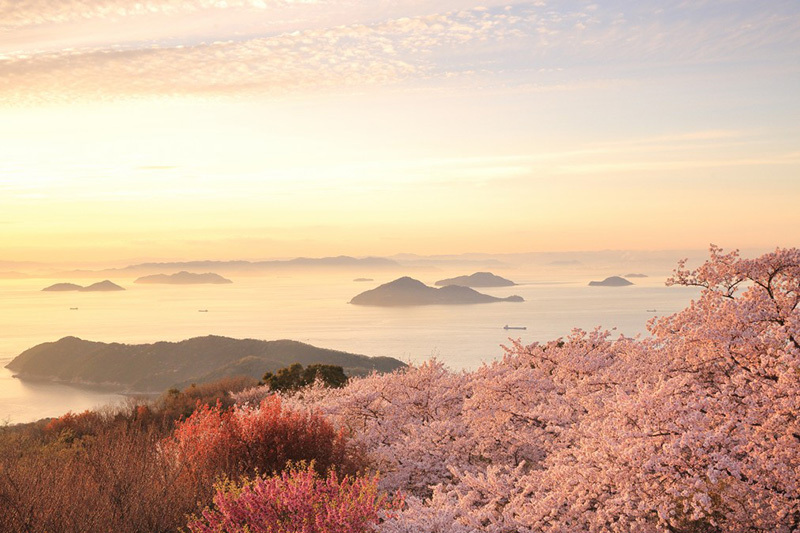 The scenery of cherry blossoms with Seto Inland Sea’s islands in the background is particularly stunning. 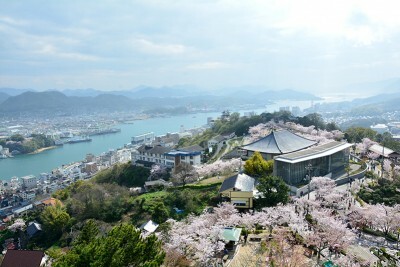 Access　20 min by ferry from Takamatsu Port (高松港) to Megijima Port (女木島港), and then 40-min walk to the observatory. 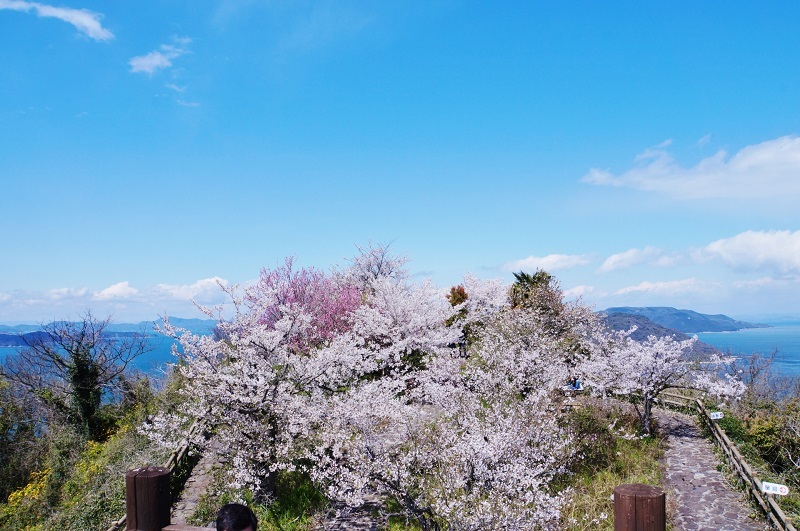 A “ogre cave” is on the way. 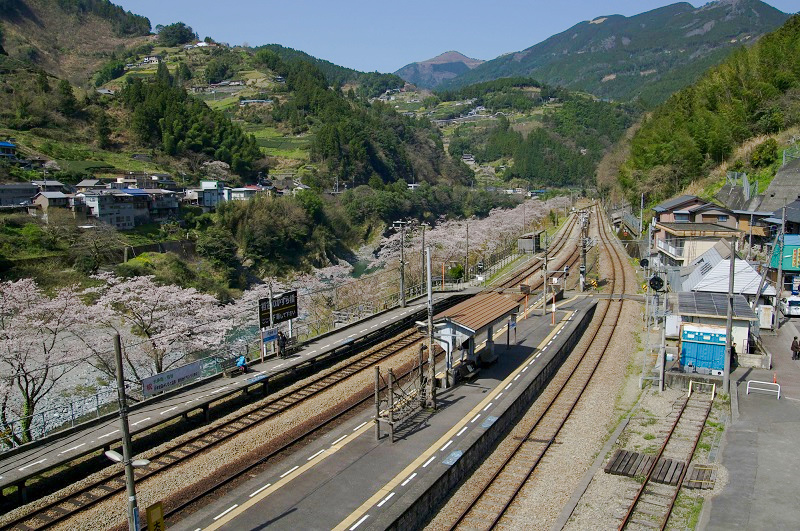 Access　1 hour from Takamatsu Station (高松駅) to Takuma Station (詫間駅) on JR Yosan Line, then 30 min by bus to Ohama (大浜), and an hour walk from there. 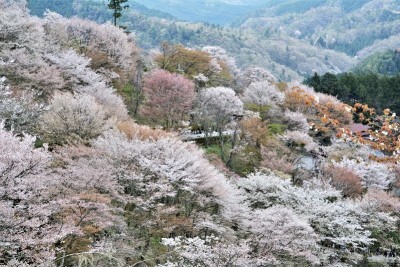 * The road to the mountain is congested with traffic in the peak season, so you may need extra time if you come by car. 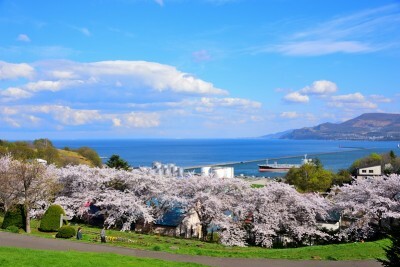 * This place is also accessible from Takamatsu Onsen.